Having a nest egg or emergency fund gives you peace of mind in knowing that you have some extra cash in case you ever need it. Unfortunately, creating that emergency fund can be difficult because there are so many other things you need to use your money for. If you’re thinking about starting an emergency fund, here are some simple tips to help you financially plan for the unexpected. You never know when someone in your family might fall ill or lose their job. In cases like this, you may not have as much money coming in but it doesn’t mean that your bills will take a break. You have certain financial obligations that aren’t going to go away, so you need to have a contingency plan in place in case of an emergency. Start by deciding how much you want to save in your emergency fund – you should have enough to cover about 3 to 6 months’ worth of living expenses. Check and double-check your insurance plans to make sure you’re covered in the event of an emergency – this includes health insurance, car insurance, renters or homeowners insurance. Build a bug-out bag so you will be prepared in the event of a natural disaster that forces you to evacuate – have enough food and water to survive for a week or more. Create a budget or two. 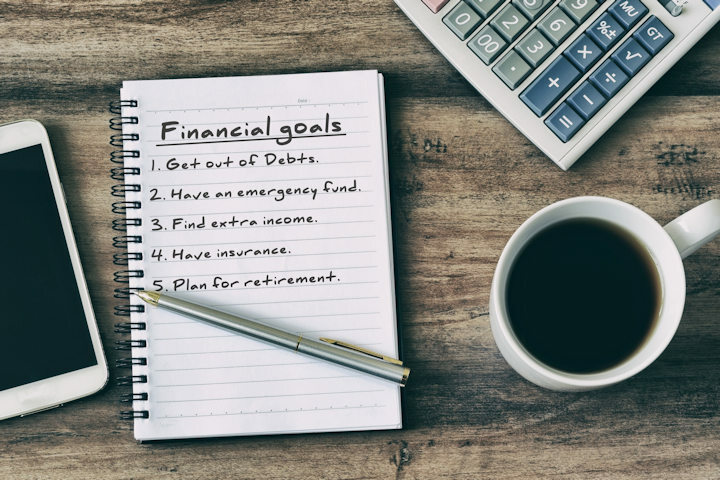 It’s a great ideal to have a budget that you use in everyday life to limit your spending and maximize your saving, but it might also be a good idea to create a backup budget that you can follow to cut back even further in a financially precarious situation. Put your savings somewhere it will be safe but easy to access. You can put your savings in a high-yield savings account or CD so it earns interest while you’re not using it, but make sure you’ll still be able to access it in the case of emergency. Be more mindful of how you spend your money so you can start saving more quickly – consider whether you really need to eat out three times a week or if you might save money by canceling certain memberships you no longer use. Make sure you know where your will is and that it has been updated with information about your estate – your family will need to be able to access this information in case of emergency. Think about purchasing a life insurance policy – these policies help your loved ones cover funeral and burial expenses if you unexpectedly pass away. Talk to a financial advisor if you’re really not sure how much you need to save or how to do it. A financial planner can help you build a plan for the future so you’ll be prepared just in case. Life is full of unexpected twists and turns. Though you can’t ever truly predict what life might throw at you, you can take steps to prepare for them. Follow the tips provided above to create a financial plan to keep your family protected against the unexpected.